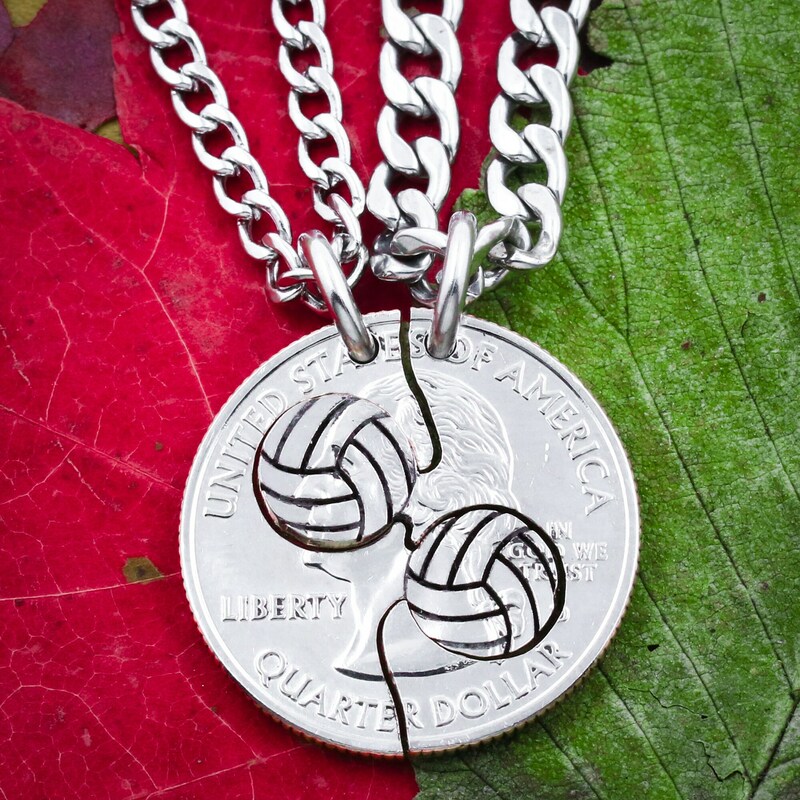 These Volleyball necklaces fit together perfectly like a puzzle. 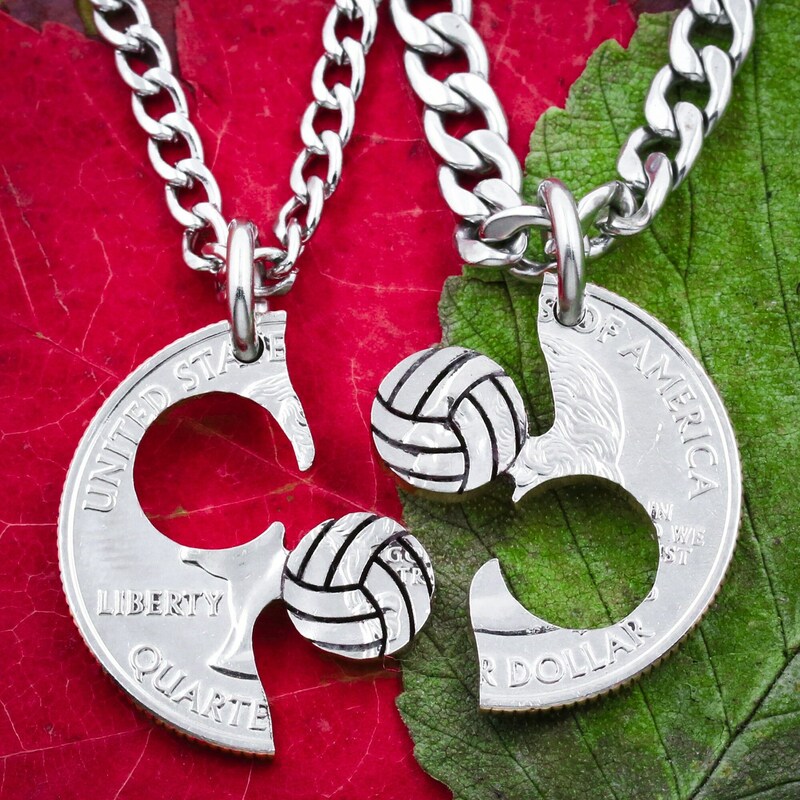 They are great for best friends. 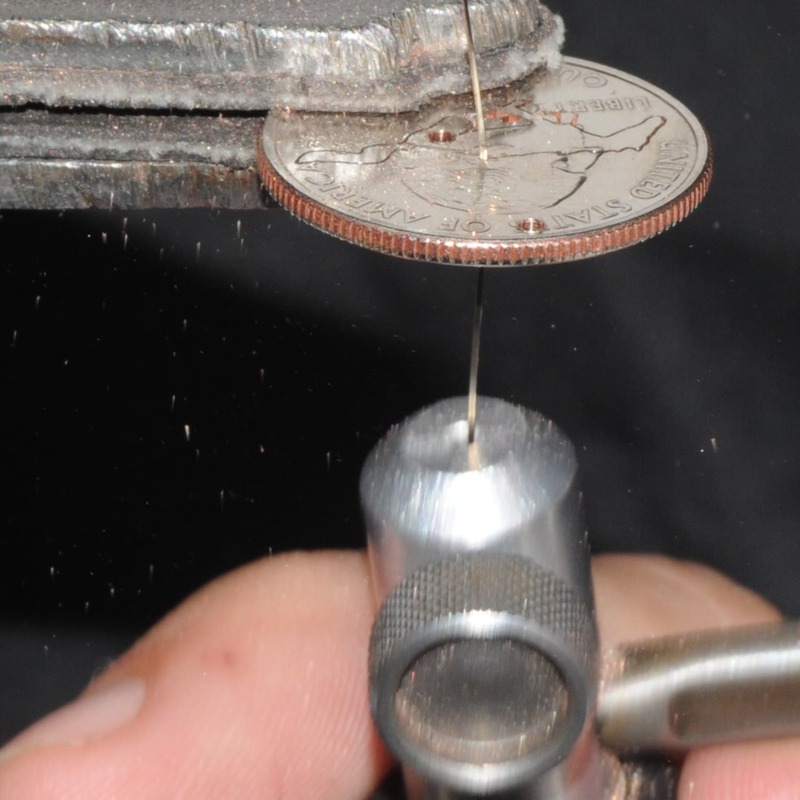 All of our coins are cut by hand with a small coping saw. We do not use cutting machines of any kind.